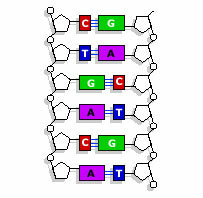 DNA Code construction is the method by which the coding theory is applied to design nucleic acids in DNA computation. DNA computing is the method by which the synthetic oligonucleotide strands are allowed to hybridize in such way as to perform computation. The most important thing required for DNA code construction is that the DNA strands should be hybridized in a manner so as to achieve the computation. The method of DNA computing was introduced by Leonard.M.Adelman.